David Hatt presents two sets of solo piano music of the 20th and 21st centuries. The program includes the First Sonata of Charles E. Ives, academic works by Gregory Kosteck and Homer Keller, creative oddities by Barney Childs, Arthur Farwell and Jim Fox, and other pieces, including Mr. Hatt’s own The Continuous Life. David Hatt received the M.A. Degree in Music in 1978 from U.C. Riverside, with a specialty in keyboard performance. His primary teachers of organ and harpsichord were Raymond Boese at the University of Redlands and Anthony Newman at U.C. San Diego. He also studied composition with renowned polymath Barney Childs and carillon with Lowell Smith. In 2004 he was asked to present the opening concert of the 47th Conference of the College Music Society, held in San Francisco. This event featured the music of CMS composers, and it was the first time in the history of the Society that the invited guest performed every piece that was submitted by the review committee. He is also a frequent performer at conventions of the Society of Composers, Inc. A specialist in new music from an early age, he performed Satie’s Vexations for piano in an unassisted version in 1976. His Master’s Recital of the same year was over 5 hours long and consisted entirely of 20th-Century music for five different keyboard instruments. Currently he is the Assistant Cathedral Organist at St. Mary’s Cathedral in San Francisco, a position he has held since 1997. His performances of the music of Max Reger on the Cathedral’s Ruffatti are featured on a DVD/CD collection, “Streets and Sounds of San Francisco”, produced by Michael Schnurr. He has appeared several times with the San Francisco Symphony, including performing the organ parts of Liszt’s “Dante” Symphony and Richard Strauss’ Alpine Symphony. He is also featured in an experimental online opera, “I, Norton”, by Gino Robair, about a famous SF historical character. Dave’s original compositions have been published by Wayne Leupold Editions, Amalgamate Sound and Darcey Press. His arrangement of David N. Johnson’s Trumpet Tune in B-flat was included in a new edition of Johnson’s works by Augsburg Fortress Publishing. 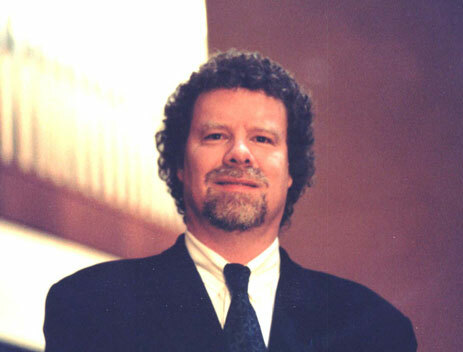 In the Fall of 2008, under the guise of the Bay Area Reger Festival, he sponsored the Juilliard alumnus Isabelle Demers in her first trip to the West Coast. This series of unique concerts featured Dave’s performance of the complete Op. 63 Monologues, a prodigious and challenging event for organist and audience alike.